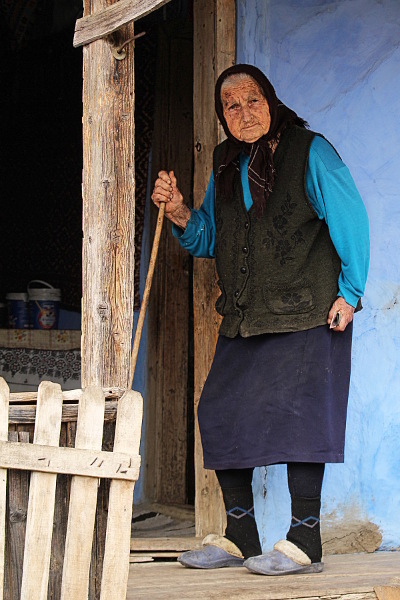 I meet her a couple of years ago during a trip to old cave monasteries, but I heard stories about Mother Uța even before that. She had her house next to the Corbii de Piatra monastery, a less known but quite famous in some circles touristic place and a few attractions, including a stone raven (Corbii de Piatra means Stone Ravens) is practically in her backyard. So almost everybody visiting the monastery was visiting her too and she was very friendly, talking with the visitors, posing for the photographers and so on. Today I learned (from the monastery’s Facebook page, no less) she is no more. This made me dig from the old pictures from March 2012, find an unpublished one with mother Uța, who at the time was 80, edit and post it. Remembering thing and people is one of the things photography is good for.